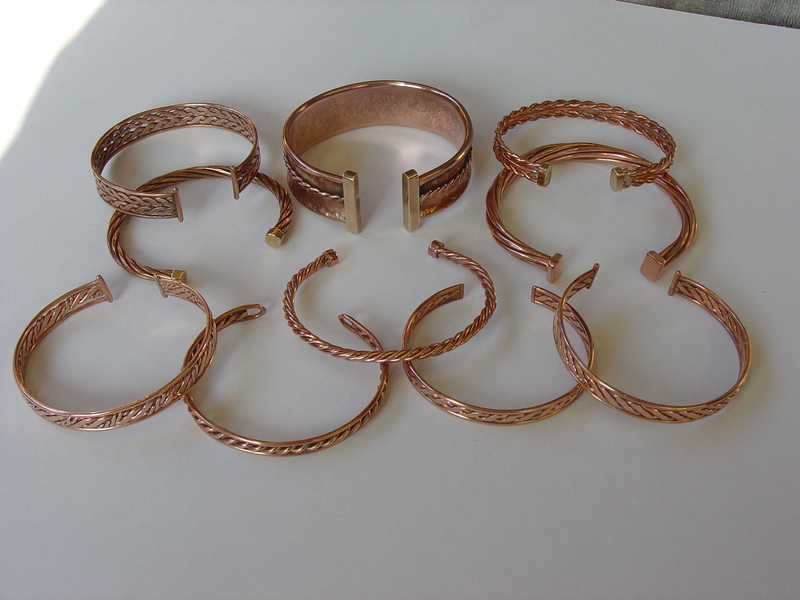 Double twist copper edged with silver wire and central silver wire band. 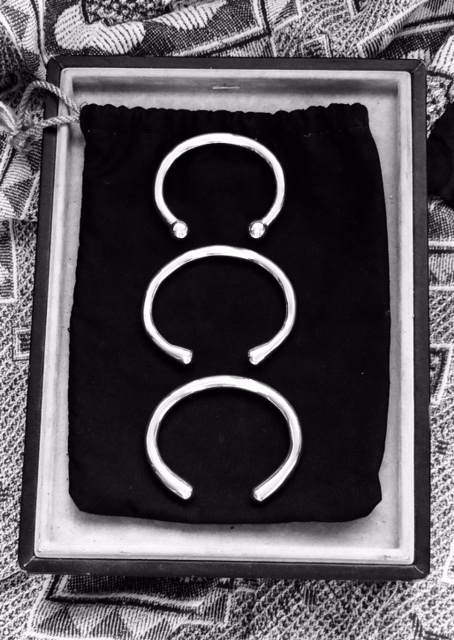 Squared silver ends. 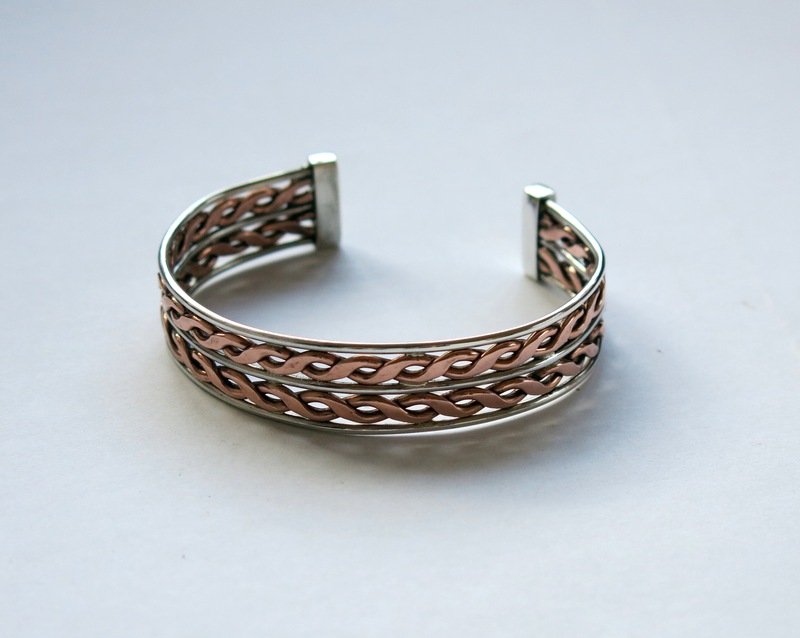 Also available central silver band and in all copper or silver. Sizes made to order. 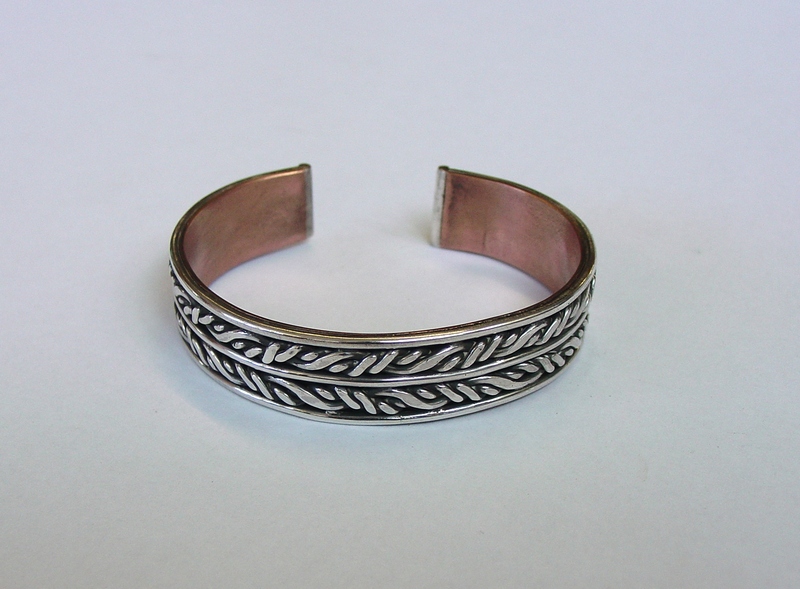 Double layer silver twist bangle, backed with copper and filled with black enameling. Commission. 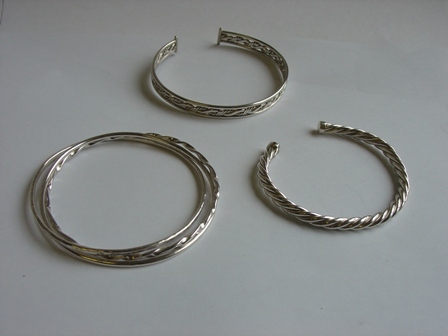 Range of silver bangles in silver wire in stock or to order. 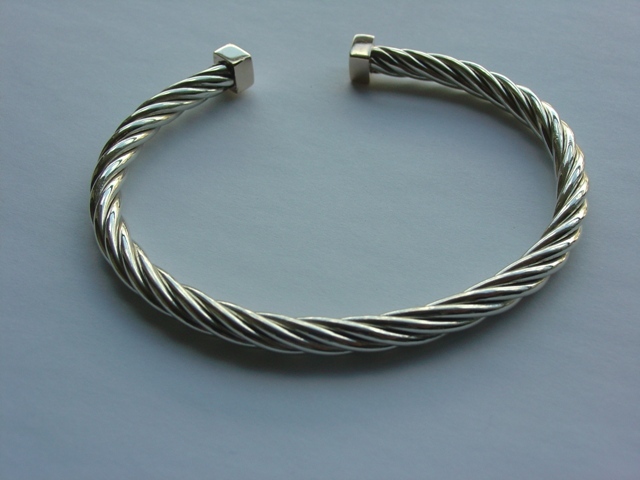 Wide silver sheet bangle, edged with thick silver wire and central silver wire twist detail. 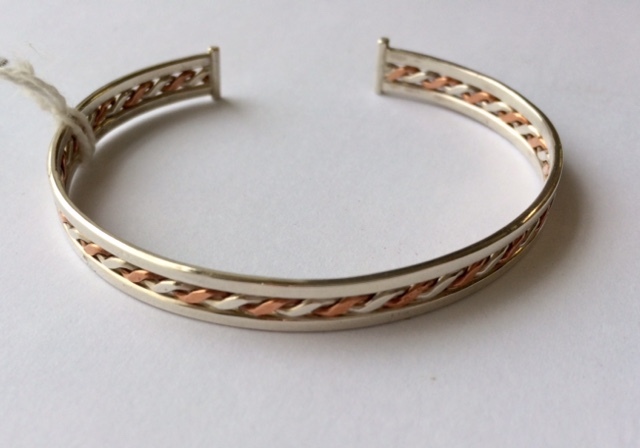 Silver and copper central twist edged with square silver wire, Available in a variety of different twists and thicknesses. 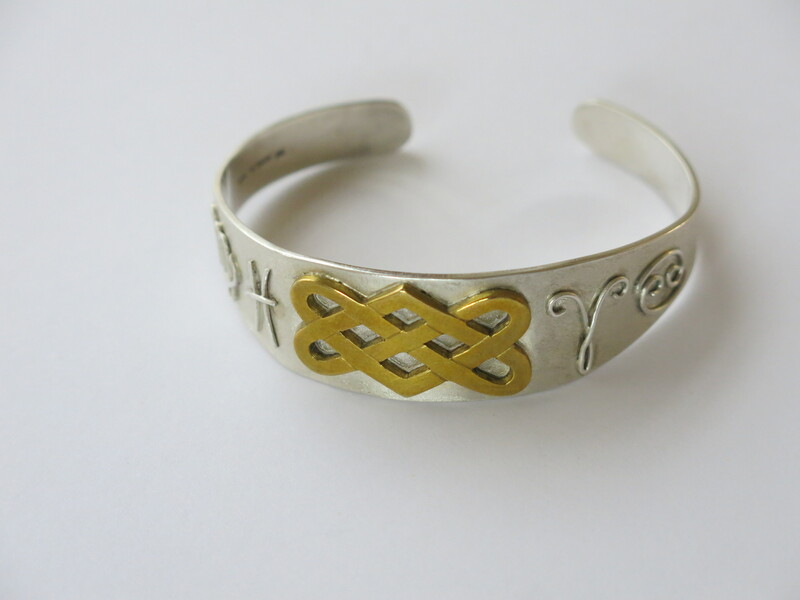 Commissioned silver bangle with cut out brass knot work design and silver wire star sign detail. 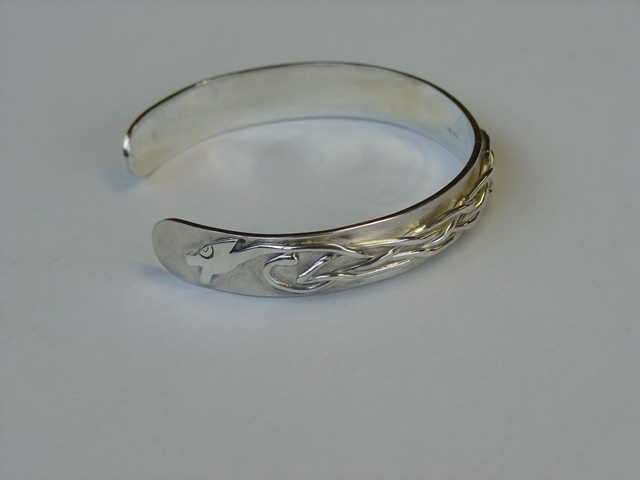 One-off design. 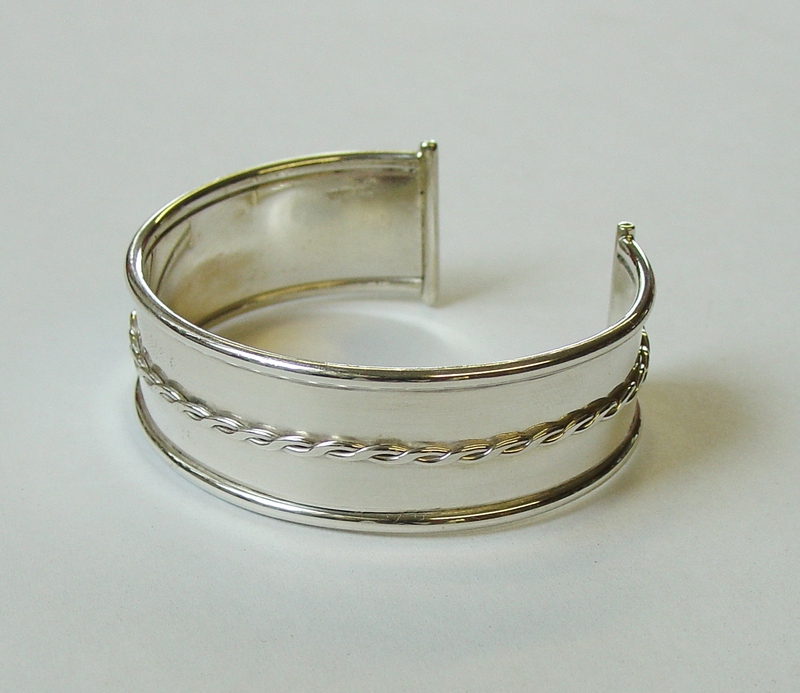 This set of lovely chunky silver bangles were made from old silver jewellery brought in to be recycled into something wearable for all the family! 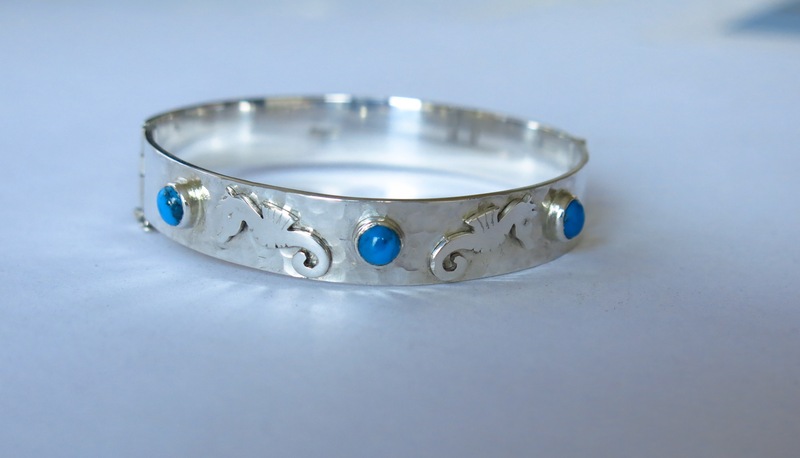 Hinged, closed silver bangle with textured finish, seahorse motifs and set with turquoise. Commissioned piece. 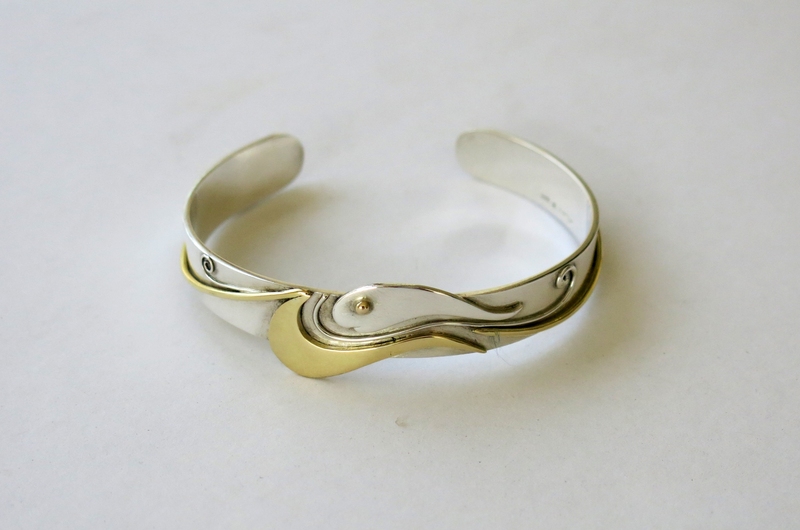 One-off design. 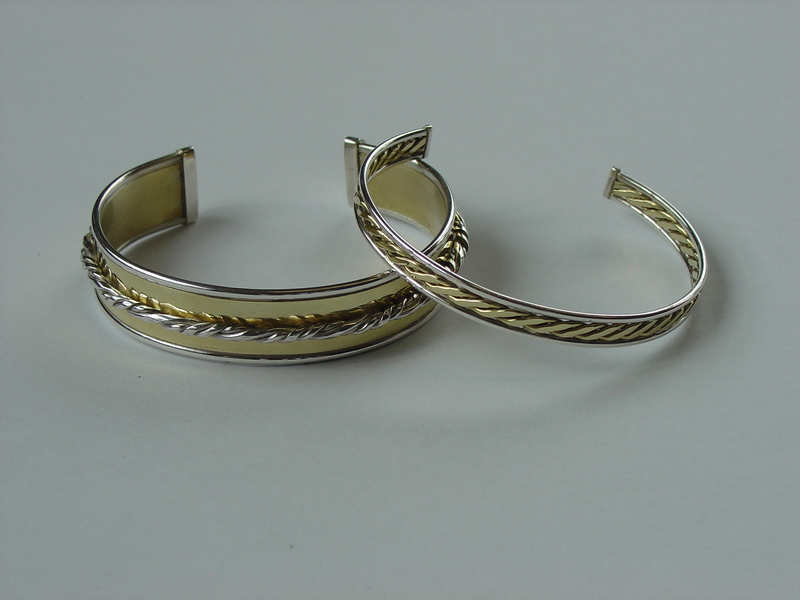 Chunky brass bangle with silver twisted wire detail and silver edging, twisted brass wire with silver edging. 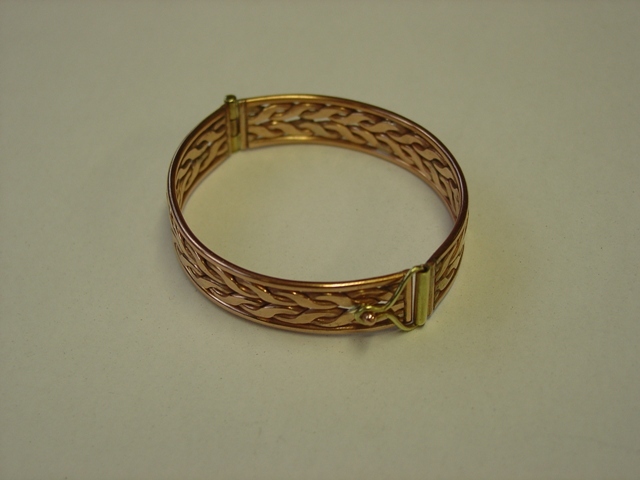 Also available to order in gold. 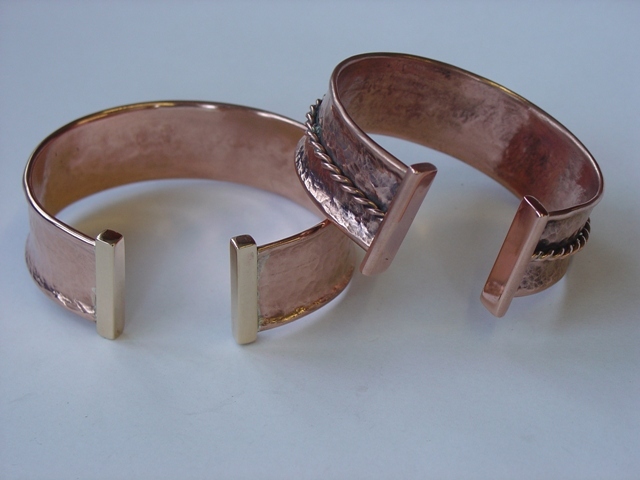 Chunky cuffs with brass or copper ends.